Some people may not be aware of important environmental problems, such as water pollution. Knowing that community members likely care about their children’s health, an environmental activist can offer that water pollution is endangering their children’s health, reframing drinking water pollution as a children’s health issue. A related challenge, then, is finding ways to connect highly technical scientific knowledge with community members’ experiences of environmental issues in ways that could inform practical action. Community-based organizations working on environmental issues need to organize people to act collectively, and that often requires changing people’s frames to convince them to get involved. However, environmental researchers generally have neither adequate training in science communication (Meredith 2010, Schmidt 2009) nor the necessary skills to organize civic engagement based on good research. Universities and colleges can use their knowledge and resources to support community action. Higher education institutions typically use one of three strategies, but each has weaknesses. Translational research (Mercher et.al. 2007), tries to “translate” scientific research to lay audiences, but doesn’t ask the community what research they want. Participatory action research usually involves researchers and community members working together (Ballard and Belsky 2010), and does ask community members what research they want, but too often assumes that doing the research is more important than acting on the findings. Service-learning—students working directly with communities—focuses much more on student learning than community change, and thus also falls short of being an effective strategy for achieving a sustainable planet (Stoecker and Tryon, 2009). We propose a fourth strategy—project-based research—for a university-community partnership that addresses environmental sustainability issues and creates social change for all involved. In project-based research, researchers and service-learners collaborate with community members to diagnose community issues, prescribe solutions for those issues, implement the prescriptions, and evaluate the outcomes (Stoecker 2005). The collaboration is based on the three Cs of commitment, communication, and compatibility (Hidayat et.al. 2009). This new strategy combines all of the strengths of the other three strategies, while ultimately moving toward realizing actual and viable change. After participating in a community-based research project with Randy Stoecker as a graduate student, Dadit Hidayat became fascinated with conducting community-based research. Interested in building mutual trust and partnership with a community, he sought out Heather Gates in 2008. Heather leads The Natural Step Monona (TNS Monona), a grassroots community organization that passionately works to promote sustainability in Monona, a small city across the lake from Madison, Wisconsin. Dadit volunteered with TNS Monona and saw how a university-community partnership could support the organization’s work. Learning of a funding opportunity from the Community and Environmental Scholars Program (CESP) , the three of us collaborated to secure the funding and develop two sequential capstone courses for undergraduate students in the environmental studies certificate program. Organized around the project-based model, we designed the courses to meet TNS Monona’s need to gauge their effectiveness and better engage the community in sustainability. Sociological research tools formed the centerpiece for our first course. In planning this course, Heather hoped that students could discover how TNS Monona and the City of Monona’s sustainability efforts have affected community members’ sustainability practices and belief systems—their environmental frames—while spreading the word about TNS Monona. The research combined community-based evaluation with a diagnosis of what environmental sustainability issues Mononans cared about. The City of Monona Sustainability Committee and the City Administrator provided community meeting space, and publicly endorsed our project, adding credibility to the effort. Twelve students (the maximum allowed) signed up for the first capstone class. After a few weeks of in-class planning, we decided that the best method for the evaluation and diagnosis would be a community-wide survey. The students spent four weeks collaboratively developing the survey with TNS Monona. Then, with the capstone students, fourteen TNS Monona volunteers, and a civic engagement campus expert, we canvassed for four afternoons during late March and early April 2011. We knocked on nearly 3,100 doors in Monona, distributing paper surveys. We received just over 600 responses, which was quite successful considering the absence of any follow-ups. Partnering with the city, we organized a public meeting in May to present the survey results and engage Mononans in a discussion about what the results meant for their community. Forty-four residents, including the newly-elected mayor and two local media representatives, attended. As residents discussed the survey results, they considered how TNS Monona and the city should act on the findings. Residents learned about the City of Monona’s sustainability efforts, and the frames we used helped residents see TNS Monona and the City of Monona as collaborators in local sustainability efforts. The local newspaper reported on the event, framing the survey results as emphasizing how strongly Mononans felt about environmental issues such as clean drinking water and clean lakes. By the time of this meeting we already knew that we would have a second capstone course in the fall. So the survey results and the community discussion produced by this first capstone course provided the foundation for TNS Monona to create a grand plan that our second capstone course would support. The students in the first course had discovered what Mononans thought about sustainability, what, if anything, they were doing about it, how they perceived TNS Monona’s efforts so far, and what their greatest community concerns were. Next we wanted to engage the residents in collective action that would address these concerns. An important finding from the survey was that clean lakes and clean drinking water were the top two community issues identified by Monona residents. .
Meeting several times in summer 2011, we agreed on two goals for the fall capstone course: to make Monona’s use and handling of water more sustainable, and to make TNS Monona’s voice louder. We then designed the course to engage local community-based organizations (CBOs) in generating ideas for their own “Year of Water” projects. After eight weeks of education on water and related sustainability issues, students in the second course prepared a PowerPoint presentation on water conservation, developed scripts for contacting CBOs, and received training on how to recruit groups to take on community projects supporting the Year of Water. Once again employing collective action framing techniques, we encouraged community groups to think about easy and manageable water-related projects. In November and December, students contacted fifty-four school and community groups, and gave presentations on water sustainability to twelve of them. The students also created a brochure and a web page for communicating information about the Year of Water.. The students obtained pledges from a handful of groups and wrote reports on the other groups they contacted. TNS Monona then followed up with those groups, and contacted others, to gain public commitments from a total of eleven groups. The pledges are diverse. On Earth Day, Saint Stephen’s Lutheran Church hosted a workshop on how to construct and install rain barrels and displayed easy ways to conserve water in the home. The City of Monona Sustainability Committee is already making good on a pledge to establish an on-line system where residents can compare their water efficiency to that of others (accomplished with another service-learning class from Marquette University). 4Pillars4Health EcoSpace is organizing a Water Walk around Lake Monona to be led by First Nations Ojibwe Grandmother Josephine Mandamin and William Waterway Marks. Friends of the Monona Senior Center organized two screenings of the film Waterlife. MG21 High School has conducted tests of area water bodies. And the Monona Garden Club will assist the Winnequah School Garden in developing a rainwater harvesting system. What will come of all this? We are not yet completely certain, as most of these projects are just getting underway. But we now have a third capstone course planned for the spring of 2013, and those student will work with TNS Monona to do research so that we can find out how much changed, and what is left to change. TNS Monona will then have knowledge to help it plan its next steps to building a more sustainable community in Monona. One challenge of much university-community engagement is that it is sporadic and short-term, making it very difficult to show significant impact. These back-to-back capstone courses (spring 2011 and fall 2011) offered the opportunity for a longer-term commitment that went from the initial evaluation and needs assessment through the application of a strategy. The project-based model gave us time for logical reasoning based on our survey results, leading us to develop sustainability plans for the community in a strategic way. We also crafted messages that resonated with the community’s concerns, using water to loosen the doors of communication and engage others in action. These courses helped CESP prepare future leaders in the field of environmental sustainability by providing professional development experience. They also helped students and TNS Monona think more sociologically about environmental sustainability in two ways. First, the survey helped show the value of sociological research for illuminating what opportunities might exist for collective action, rather than focusing just on an individual behavior change approach. And, second, the collective action framing strategies helped engage groups and networks of people in implementing the Year of Water in Monona to benefit the entire community. For the three of us, we have realized the importance of our own collaboration. Sociology, to be useful, requires activists to put sociological knowledge into action in the real world. And activists, when they have access to sociological knowledge, can better target and focus their work. “Collaboration with The Natural Step Monona has real-world impacts for students, community,” The Nelson Institute news, September 23, 2011 [view webpage]. “Survey says sustainability is priority for Mononas,” The Herald-Independent, May 12, 2011 [view webpage]. “Results of the UW Capstone Monona Sustainability Survey,” The Natural Step Monona, May 5, 2011 [view webpage]. “Thank you, Monona. And an invitation,” The Natural Step Monona, April 26, 2011 [view webpage]. “The Year of Water.” The Natural Step Monona, 2012. [view webpage]. Ballard, H.L. and J.M. Belsky. 2010. “Participatory action research and environmental learning: implications for resilient forests and communities.” Environmental Education Research. Vol. 16, Nos. 5–6, October–December 2010, 611–627. Benford, R. D. and D. N. Snow. 2000. “Framing Processes and Social Movements: An Overview and Assessment.” Annual Review of Sociology 26, 611-639. Mercer, S.L., B.J. DeVinney, L.J. Fine, L.W. Green, D. Dougherty. 2007. “Study Designs for Effectiveness and Translation Research: Identifying Trade-offs.” American Journal of Preventive Medicine. Volume 33, Issue 2, August 2007, Pages 139-154.e2. Meredith, D. 2010. “Please Explain: Training Scientists to Be Better Communicators.” The Chronicle of Higher Education. May 16, 2010. Accessed Jan 2, 2012 http://chronicle.com/article/Please-Explain-Training/65560/. Schmidt C.W. 2009. “Communication Gap: The Disconnect Between What Scientists Say and What the Public Hears.” Environ Health Perspectives 117:A548-A551. Stoecker, R. 2005. Research Methods for Community Change. California: Sage Publications. Stoecker, R. and E. Tryon (eds). 2009. The Unheard Voices: Community organizations and Service Learning. Temple: Temple University Press. 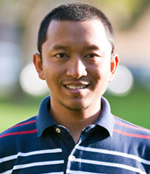 *Dadit Hidayat is a Ph.D. student in the Nelson Institute for Environmental Studies at the University of Wisconsin. Dadit has volunteered with The Natural Step Monona (TNS Monona) since fall 2008, which is largely driven by his interest in addressing a serious gap between the academic and local community in how to address environmental problems. **Randy Stoecker is Professor in the Department of Community and Environmental Sociology at the University of Wisconsin, with a joint appointment in the Center for Community and Economic Development. Randy is continuing to work on amplifying the community voice in service learning, and providing research support for nonprofit organizations. ***Heather Gates is Director and co-founder of The Natural Step Monona, a grassroots organization educating about, advocating for, and promoting sustainability. A catalyst for change, the group helps move the city, its residents, and people throughout the region toward a more sustainable future. Gates is a Nelson Institute Community Fellow.